Fools learn from experience. I prefer to learn from the experience of others – it’s what Otto von Bismarck used to say. And what other better way to do that than by reading the biographies of those you admire? Some of the most popular entrepreneurs admitted that they attribute their success to reading memoirs of the people they admire. Here’s a list ofthe best business biographies recommended by them (is there something missing, any book that we absolutely-definitely-must add to this list? let us know!). 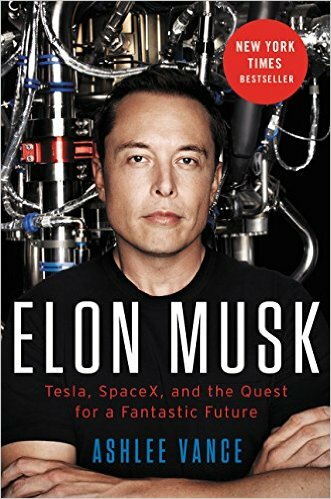 Elon Musk mentioned in multiple interviews that he learned a lot from reading biographies. Well, same thing is true regarding his biography. Published by Ashlee Vance in 2015, it’s a must-read for everyone who wants to shoot for the stars the same way he does. “Elon Musk: Tesla, SpaceX, and the Quest for a Fantastic Future” serves a great lesson on the sacrifices you’ll need to make when you have ambitious, almost impossible plans, and nobody believes in you. Richard Branson, the founder of Virgin Group, recommended this book, saying that “Elon Musk is a man after my own heart: a risk taker undaunted by setbacks and ever driven to ensure a bright future for humanity. Ashlee Vance’s stellar biography captures Musk’s remarkable life story and irrepressible spirit.“. Another fascinating biography, if you want to read all about how Jeff Bezos and Amazon conquered the world. Even though Jeff’s wife gave it a 1-star review on Amazon, you can still draw lots of lessons from it, especially about management, leadership and inovation. 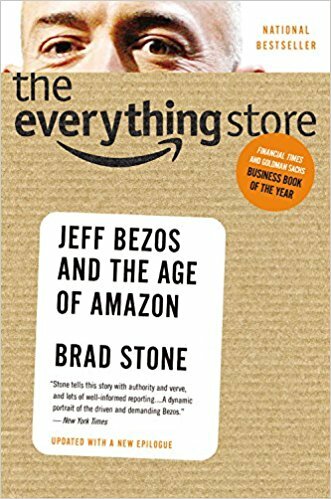 Written by Brad Stone after he conducted tens, perhaps even hundreds of interviews with Amazon employees, Jeff’s former colleagues and family members, this is the most comprehensive book you’ll find about how Amazon became the everything store. 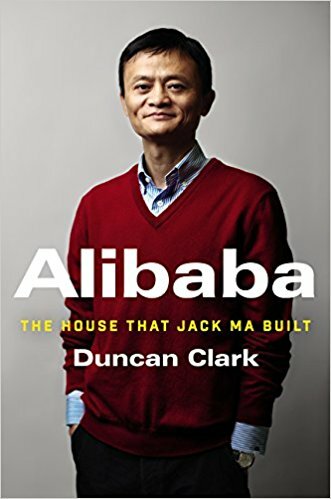 And speaking of Amazon… If you want to know more about its main competitor, how Jack Ma built the giant empire we now know as Alibaba, read this biography published last year by Duncan Clark. Jack managed to get past China’s political obstacles and turned Alibaba into one of the biggest companies in the world. This is what Sir Martin Sorrell, CEO of WPP, had to say about this book: “Anybody who thinks the Chinese just copy or steal technology from the West should read this book and think again. Jack Ma is part Bill Gates, part Steve Jobs, part Larry Page, part Sergey Brin, and part Mark Zuckerberg, all rolled into one“. This book probably needs no introduction, as I’m confident it’s the most popular biography from this list. 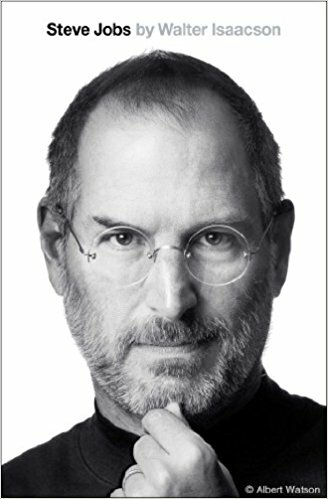 Based on more than 40 interviews conducted by Walter Isaacson over 2 years with Steve Jobs, as well as hundreds of interviews with his family members, friends, colleagues and so on. 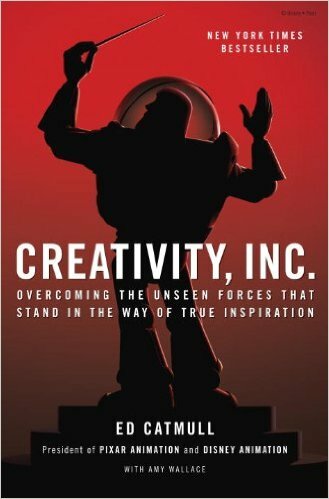 And since we mentioned Steve Jobs, here’s another book that might interest you: Creativity, Inc. is the story of Pixar Animation and its co-founder, Ed Catmull. If you want to learn great lessons on leadership and management, check it out. Mark Zuckerberg is one of the CEOs who read and recommend this book. In his podcast with Tim Ferriss, Ramit Sethi mentioned that he read Iacocca: An Autobiography every few years for the last 20 years. 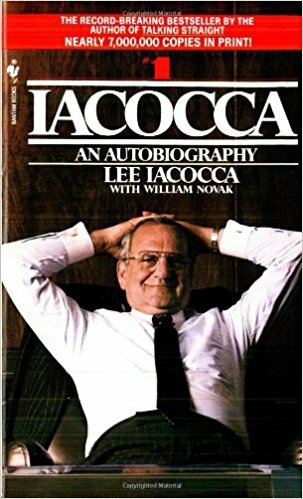 Lee Iacocca’s best selling autobiography was originally published in 1984 and follows his career in the auto industry, first with Ford, and afterward with the Chrysler Corporation. Iaccoca’s considered an American legend, a businessman who turned around Chrysler when the company was facing a crucial point. 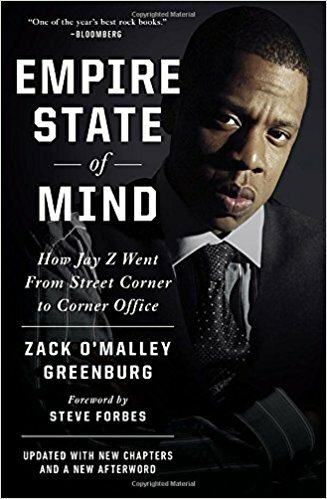 “I’m not a businessman – I’m a business, man.” – This book follows Jay Z and how he climbed from the ill famed streets of Brooklyn, where he spent his childhood, to the heights of the business world. Ryan Holiday recommended this biography, saying that: “This is a biography that also functions as a business book. It shows how Jay applied hustling techniques to the music business and eventually built his empire“. This is probably one of the best biographies published in the recent years. 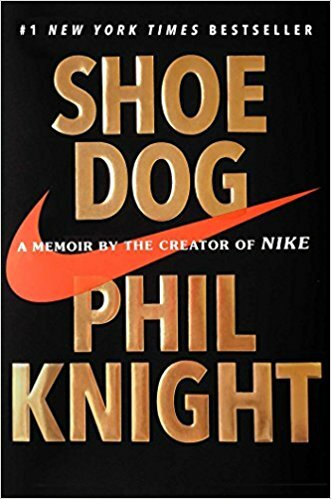 Shoe Dog follows Phil Knight’s memories, from the times when he was just a young boy, lost and with no idea what to do with his life, until he built the giant sports brand that we know today as Nike. This is one huge biography, with more than 800 pages filled with the life and story of John D. Rockefeller. Considered to be the Jekyll-and-Hyde of American capitalism, Rockefeller “was known as both a rapacious robber baron, whose Standard Oil Company rode roughshod over an industry, and a philanthropist who donated money lavishly to universities and medical centers“. 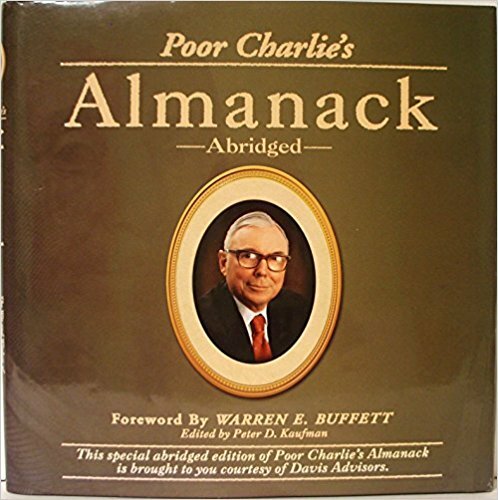 This book is recommended by Warren Buffett, who co-founded Berkshire Hathaway together with Charlie Munger. It’s a collection of his speeches and talks. 11. Surely You’re Joking, Mr. Feynman! I’ve been bumping into this book for a long time, as it’s one of the most recommended books by entrepreneurs. 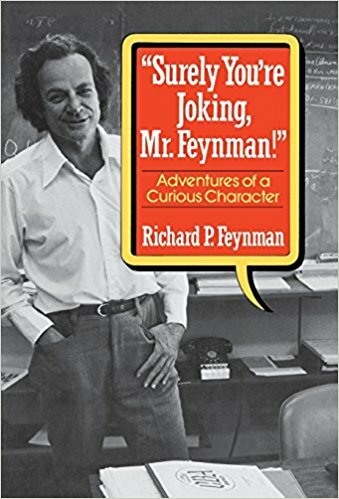 Filled with stories and memories of Richard Feynman, winner of the Nobel Prize for physics, who was always questioning the status-quo and testing assumptions. In this book he recalls all the experiences he conducted, but also his pranks and adventures (even the ones he pulled in the years he was working on the Manhattan Project). Google’s co-founders, Larry Page and Sergey Brin, are among the fans of this book. Noah Kagan, founder of Sumo, even said that he if you ever meet him in person, he always has an extra copy, “because it’s just that amazing“. I have to agree – I finished it recently, after a few nights of reading Feynman’s adventures until 4 AM (yes, it’s just that addictive!). We couldn’t mention Charlie Munger without bringing up his partner’s biography. 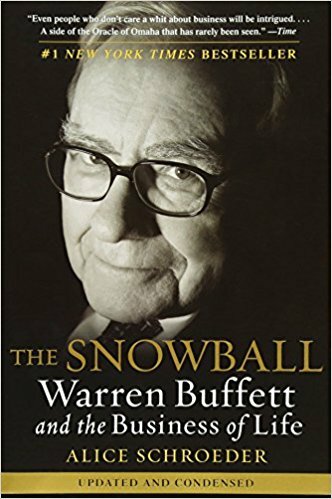 Lots of books were written about Warren Buffett, the “Oracle of Omaha”, but this was written with his cooperation and is considered to be the best. 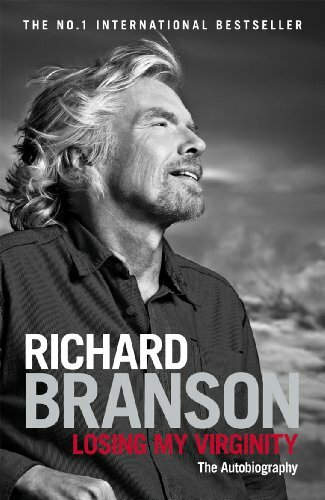 And last but not least: the autobiography of the famous entrepreneur Richard Branson. If you want to find out more about how he built the business empire Virgin Group, this is a good place for you to start.